We recommend the following top products and services to friends and family on a regular basis. We recommend them because we like using them and we are pretty sure you will too. Capital One 360 Checking / Savings Account – Earn free $50 when you signup for a free checking account. Then use the debit card to access cash for free at over 38,000 Allpoint® ATMs with your Card; or from merchants that allow cash back as a part of a PIN-based purchase. Upside Travel – Get $100 in travel credits from Upside Travel when you signup and book your first trip. AirBnb – Get $40 off your first booking with AirBnb. Lyft – Get free $20 ride with Lyft. Amazon Prime Free Trial – Enjoy unlimited instant streaming of movies and TV shows. Anywhere, anytime. Try it free for 30 days, why not? Signup for Uber here – Get a $15 credit after first purchase. Signup here to receive $20 credit on your first ride. CLEAR – Improve your travel experience and speed up your airport security screening process with CLEAR. Get Amazon Gift Cards here – Purchase from $1 to $2,0000 in gift card with Amazon to gift money to friends or family. Gift money to friends and family with Amazon gift cards. 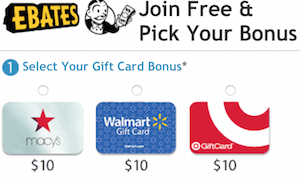 Signup for Ebates here – Earn $10 gift card after spending $25. Signup here to receive $10 gift card after $25 in spending. Signup for Rocketmiles here – Earn 1,000 milesSignup here to receive 1,000 miles after first purchase. 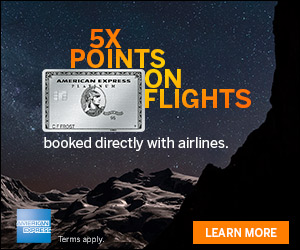 Book with Orbitz here – Booking airfare and get rewards with Orbitz Rewards. Signup for Last Bottle Wine here – Get $5 credit when you make your first wine purchase. Free shipping on qualifying purchases Signup for Lastbottle through this link. TopCashBack – USA’s most generous cashback site, sign up here. Walmart – Our Best Values, All in One Place at Walmart.com! Target – Shop Target.com and enjoy sitewide Free Shipping on all orders of $50 or more! Target is where you can buy and reload your RedCard. Starbucks – Free Shipping & Free Returns at Store.Starbucks.com! Shipping Available on Orders! Hertz – Book your Hertz rental today and save. Avis – Book your Avis rental today and save. Budget –Book your Budget rental here. Wyndham Hotels and Resorts – Book your Wyndham stay here. AirFrance – Best Offers and Promotions. Hilton Hotels & Resorts – Book your Hilton stay here. IHG Hotels – Book your IHG stay here. Marriott – Book your Marriott stay here. hotwire – Search and book hotwire reservations here. Expedia – Search and book reservations here. Briggs & Riley – Free Shipping on Domestic Orders, $99 or more. Start Shopping. Hotels.com – Search and book Hotels.com here. Priceline.com – Search and book Priceline.com here. Lufthansa – Find and book lowest price here. One & Only – Book One & Only Resorts here. Booking.com – Over 800 thousand properties and 20 million rooms at your fingertips. DoorDash – an on-demand delivery service that connects customers with local businesses. LifeLock– Protect Your Idenity Get 10% Off And 30 Days Risk Free. 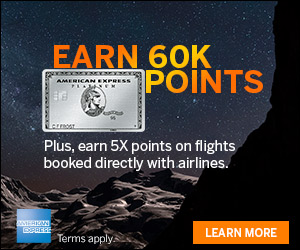 Points.com – Manage all your loyalty programs in one spot, move points and miles between programs. Travelocity – Book Hotels and Flights with Travelocity. Tripadvisor – Check out hotel reviews with Tripadvisor. UndercoverTourist – Save on attraction tickets. Juicy Miles – Award booking made easy. Let the specialists at Juicy Miles book your next award flight to your dream destination. GroundLink – Get $25 in credit to use towards a ride with GroundLink.